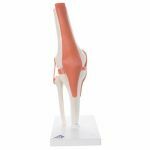 Functional Knee Joint is a fully flexible knee joint model demonstrates abduction, anteversion, retroversion and internal/external rotation. 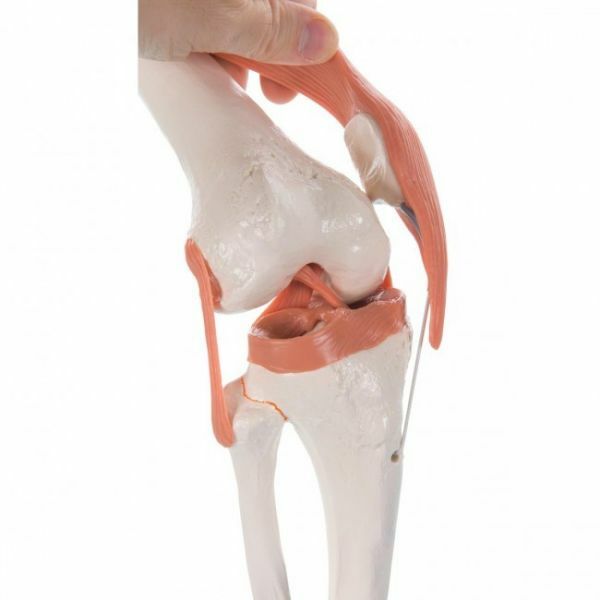 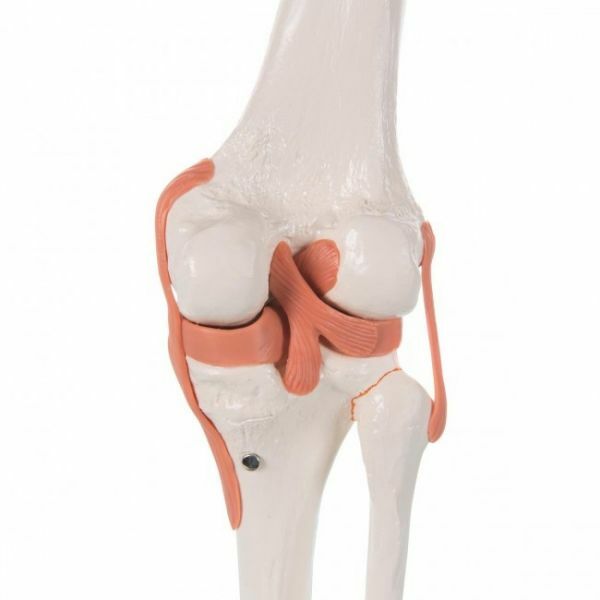 Model consists of portion of femur, tibia and portion of the fibula also includes meniscus, patella with quadriceps tendon and joint ligaments, including the ACL and PCL. Delivered on removable stand for easy study or display.